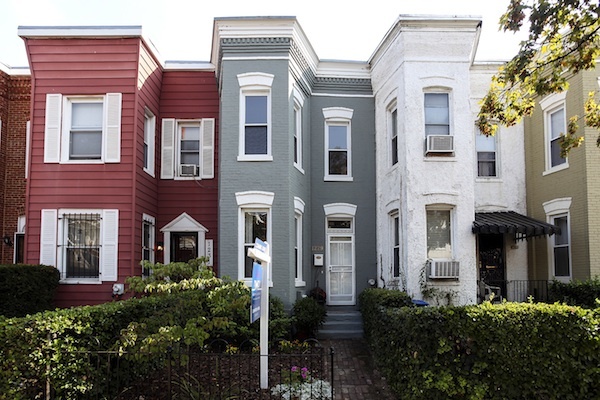 This gorgeous row house on I Street is literally steps away from H Street (you know that place where the trolley tracks are) and all the restaurants and shopping found in this trendy neighborhood. 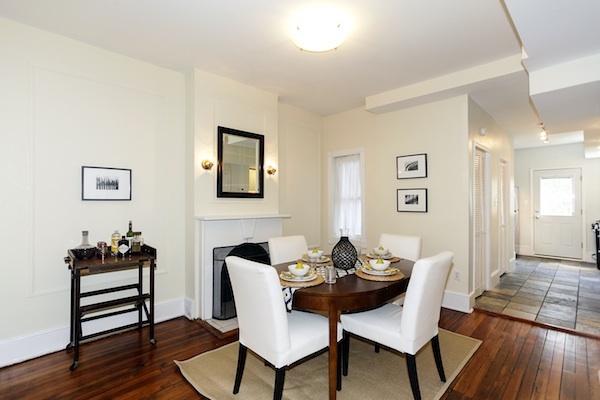 But this 3-bedroom home offers way more than its prime location – it has been beautifully updated with modern conveniences and yet still maintains its historic charm. Come see for yourself! 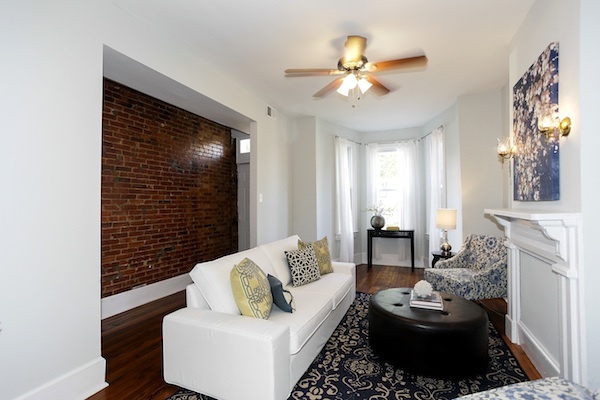 The bright living room features some of this home’s original fixtures and finishes – check out the mantle and lights above it, the amazing brick wall, and the restored hundred-year-old heart pine floors. 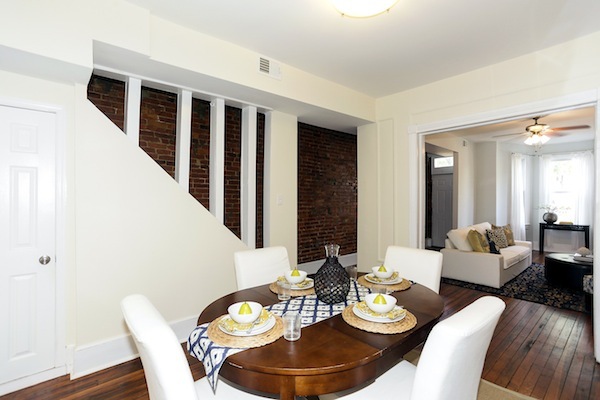 You can dine in comfort and style with this airy space just off the kitchen. 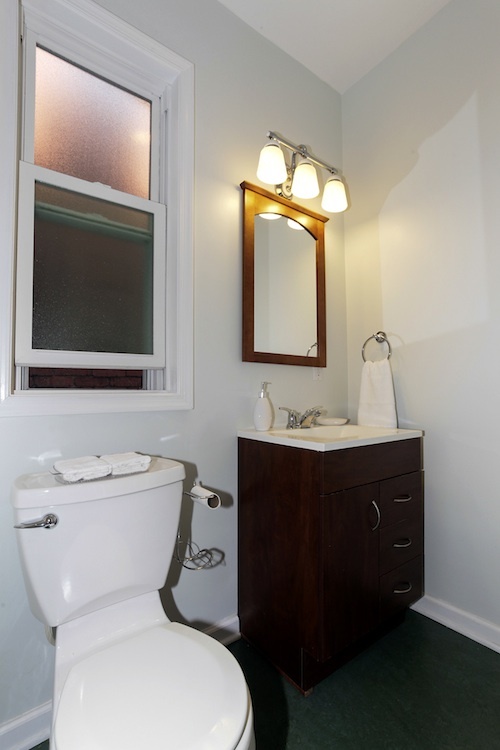 With a restored white mantle, historic lights, and original trim work, the room evokes charm with a bright, modern twist. 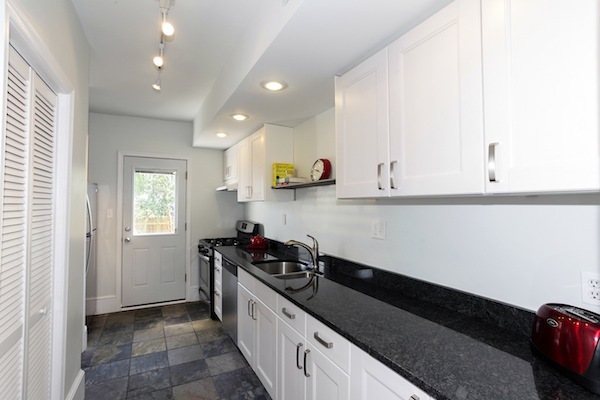 The galley kitchen has a long span of new granite countertops, new stainless steel appliances, and even a new kitchen sink with faucet. 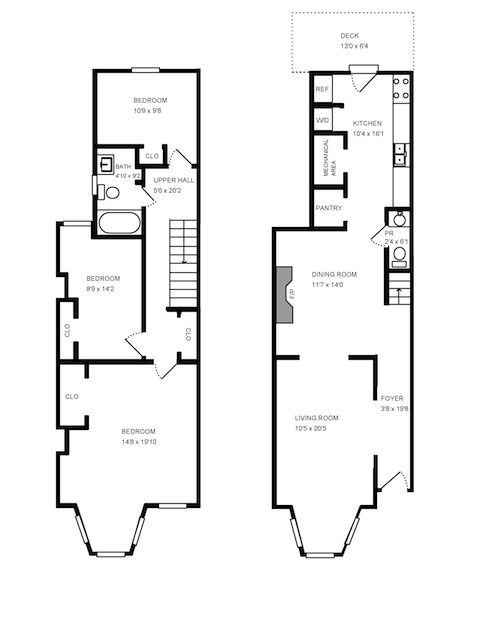 You can say good-bye to clutter by using the walk-in pantry/storage area behind those doors at the left. 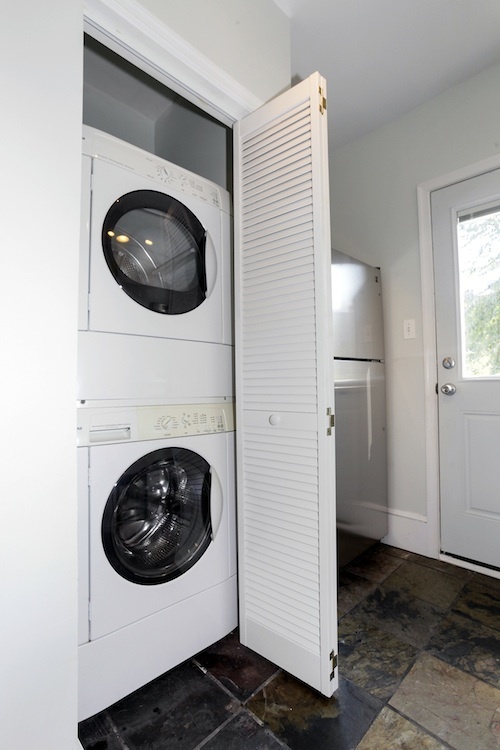 It can’t get more convenient than this with a high efficiency washer/dryer unit! The comfort and ease doesn’t end there – stay toasty in the winter and cool in the summer with this home’s high efficiency furnace and new central a/c unit. 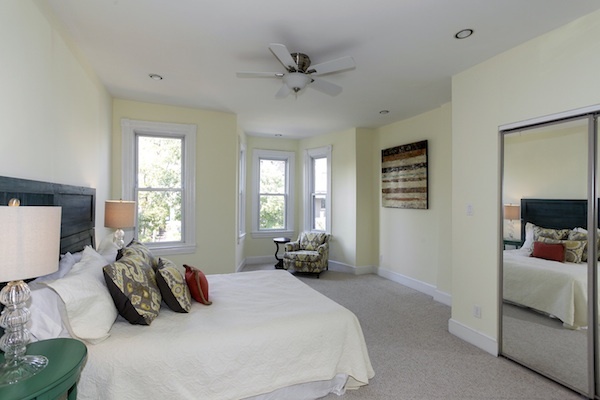 The large upstairs master bedroom and adorable sitting area has lots of light all day long – beautiful natural light from its four windows in the daytime and wonderful recessed lighting for the evening. 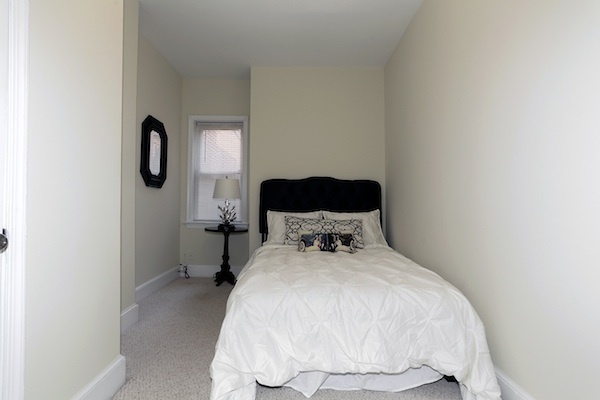 This comfortable second bedroom has ample closet space. 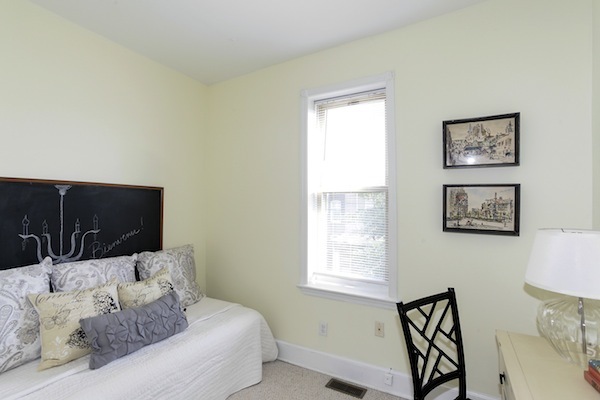 This cheerful third bedroom is perfect as a guest room, child’s room, or even an office. You get to decide! You can relax on the deck of this backyard oasis with mature shade trees and grapevine. The new fencing gives you some extra privacy. 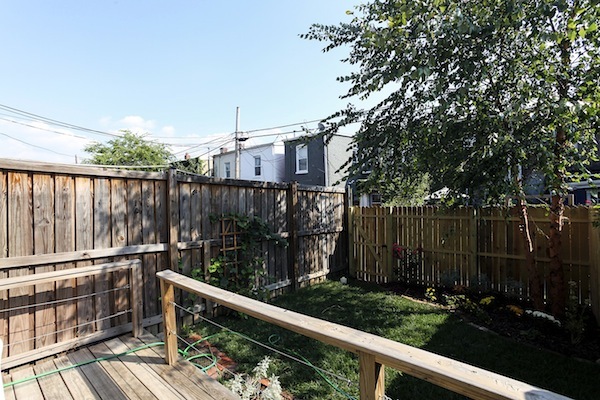 This lovely house is extremely convenient and in the heart of all the H Street action, with restaurants, theaters, nightlife, and the Saturday farmer’s market. Walk, drive, bike, metro, train, streetcar … you can do it all!! Around the corner are a big CaBi station, streetcar stops, and then just minutes from Union Station. Its Zone 6 parking is good all over Capitol Hill.